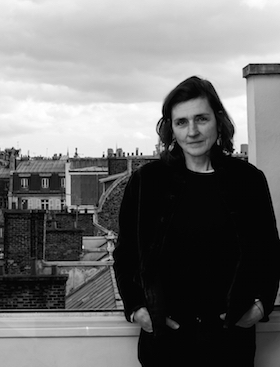 Elizabeth Teller, a forty-something Anglo-American living in Paris, has it all: a well-connected French architect husband, four children and a job as editor at a revered French publishing house. But with the sudden appearance of a former lover, a less glorious past comes back to haunt her. The dream life begins to crumble. A darker side of pretty Paris emerges. Mary Fleming was born in Chicago. After school on the East Coast, she attended Colby College in Maine where she received a BA degree in English literature. She moved to Paris in 1981. Now that their five children are grown up, she and her second husband split their time between Paris and Berlin. You can meet her at Goodreads. She blogs at mf.ghost.io. “Brew a cup of tea, put on your most comfortable outfit, silence the phone, and read Mary Fleming’s Someone Else. Elizabeth Teller has carefully constructed a life in a beautiful Paris quartier with her architect husband Lucas, and her four children. She plays the role of perfect wife and mother, and enjoys her work as a busy editor at a large publishing house. She’s learned how to obey the French conventions that guarantee her a place in a prominent family. But when Elizabeth bumps into an old friend on his first trip to Paris, a moral dilemma she’s refused to confront is suddenly unavoidable. Her lovely life begins to crumble and then to break. Order Someone Else for Ipad, Kindle, with BitTorrent Bundle or as a Paperback. You can also write us an e-mail, if you need a specific format.